Lincoln, Neb. — For the first time since 1776, the path of the Aug. 21 total solar eclipse will be exclusively visible in the contiguous United States. Nebraska Extension is hoping to capitalize on the rare scientific opportunity by encouraging Nebraskans to become citizen scientists. Citizen scientists are community members who contribute to research, observations and projects from their own backyards. Evidence from past solar eclipses suggests there will be a temperature change throughout the eclipse. According to NASA, the difference in temperature is three-quarters to one-half maximum day-night difference. Extension is asking classrooms, schools, organizations and individuals to assist in confirming this temperature change by measuring, recording and reporting the ambient temperature in Fahrenheit before, during and after the eclipse. "The idea is that anyone anywhere can participate in meaningful, scientific research," said Beth Janning, 4-H science and agriculture in action educator at Raising Nebraska. During the eclipse, the moon's umbral shadow will move across the United States, from Oregon to South Carolina, in a little more than 90 minutes. More than 200 Nebraska communities fall within the path of totality, where observers will see the moon completely cover the sun for roughly two and a half minutes. Citizen scientists are encouraged to visit http://raisingnebraska.unl.edu/solar-eclipse, where they will find a tool to submit their recorded temperatures. The tool was developed by IANR Media. 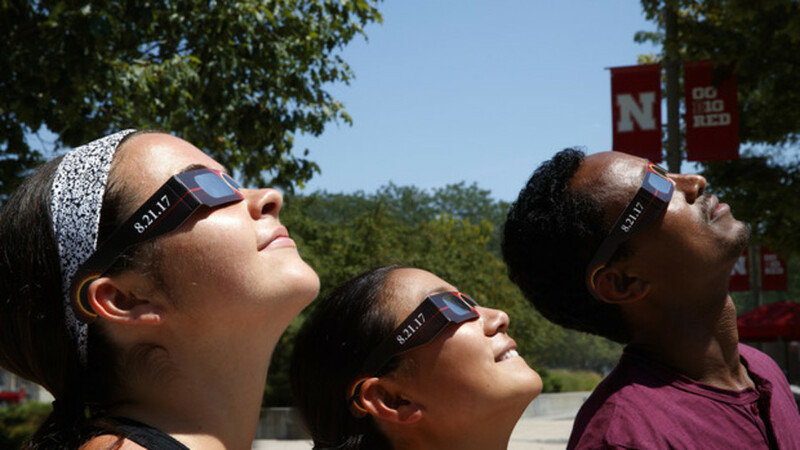 Also at the site, Nebraskans can watch educational training sessions focused on the eclipse. Earlier this year, Nebraska Extension and Raising Nebraska partnered with the Hastings Museum to offer the trainings for teachers and youth professionals that provided eclipse resources and curriculum that will be applicable beyond the Aug. 21 event, covering topics such as nocturnal animals, how sundials work and why sunlight is critical for plants.